Submissions on the subject of "Naturalism" are sought by UU Humanists for the Spring, 2016 issue of the Journal of Religious Humanism, to be mailed to UU Humanist Association members and subscribers in May, and distributed at the 2016 UUA General Assembly in Columbus, OH., in June. Opinion pieces or short essays should be in the 800-1500 word range; a 3,000 word limit and a request for footnotes apply to longer articles of a more scholarly nature. Those submitting sermons are asked to convert to a suitable form for print publication, including citations, and the removal of protected text, such as complete hymn lyrics. Writers may submit completed pieces for consideration, or receive a preliminary decision on publication by sending an abstract. The distribution of this issue will coincide with the presentation of the 2016 Religious Humanist of the Year award to Connie Barlow and Michael Dowd, at the UU Humanists' Annual Meeting at the GA in Columbus. The editor seeks a wide range of views on the subjects of Naturalism, Religious Naturalism, and their relationship to Humanism and UUism. The audience for this publication is primarily members and friends of UUHA, UU ministers and seminarians, lay members of UU congregations, humanist identified prisoners, and users of the library periodical collections at over 100 institutions of higher education. We anticipate additional copies will be made available to other individuals and groups with an interest in Naturalism. 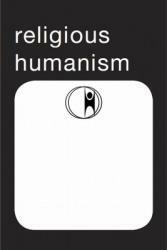 The Journal of Religious Humanism has a print run of between 1,400 and 2,000 copies, with a small but growing electronic audience. We seek one time publication rights in print and by electronic distribution (by email and on our website), including the right to republish certain offerings in later issues as "Heritage Documents." We do not ask for exclusive rights, and you are free to seek and accept other publication offers for the same material. Our general policy is to grant requests from others to reproduce for publication and other uses, subject only to appropriate credit to the Journal and the author; we make every effort to secure the writer's permission in each case. The Journal does not offer payment for articles published. We do supply each author with six* free copies of the issue containing their article, and a two year subscription to the Journal. We hope you'll consider a submission, and help celebrate the work of Connie, Michael and the UU Humanists, supporting science, nature and humanism. Proposed articles should be submitted as an email attachment, preferably in .rtf format to the Editor at Rabrewin@aol.com. no later than March 1, 2016. Abstracts (limited to 250 words) should be submitted in the body of an email, to the Editor at rabrewin@aol.com. Abstracts submitted before January 15, 2016, will receive a response on that date. Subsequent abstracts will be responded to on a rolling basis. *Additional copies upon request - a small shipping fee may apply.